Browsing for posts in the Beer category. 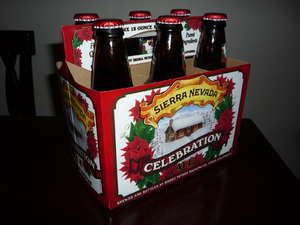 Celebration Ale is a pretty good winter beer that I like to have around the holidays (yes the cheesy “celebration” in the name is probably 75% of why). Like a lot of winter ales, Celebration Ale is very full bodied and hoppy but it goes the extra mile of being nicely balanced with some sweeter nodes. And finally this beer has a special place in my heart because it was my sister’s favorite when she came to visit me in Portland :).